Nollag na mBan or Woman’s Christmas is an old tradition and also known as Nollaig Bheag Na Mban and is celebrated on January 6th. This is the traditional day when the women put their feet up after the busy Christmas while the men donned the aprons and did all the woman's chores for the day, serving dinner to the woman in the evening, an acknowledgement of all the hard work the women did over the Christmas. It used to be widespread but became less well known over the years, surviving in Cork, Kerry and Waterford and in pockets around the country. While originally a rural tradition, Nollag na mBan is enjoying something of a revival over the past 15 years. Nowadays. woman get together and meet up for drinks, meals and nowadays some even head to the spas for a day of pampering and relaxation. An new spin on an old tradition. 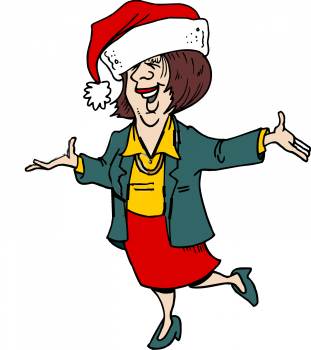 Nollaig na mBan Sona Daoibh – Happy Women’s Christmas to you all. For more on 6th January and the wonderful Italian witch Befana click here.